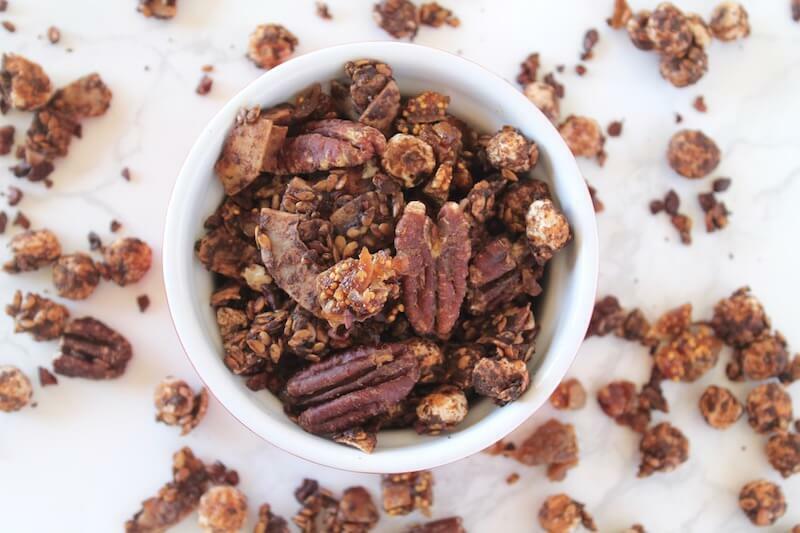 This easy and healthy cocoa fig homemade granola recipe is so delicious! 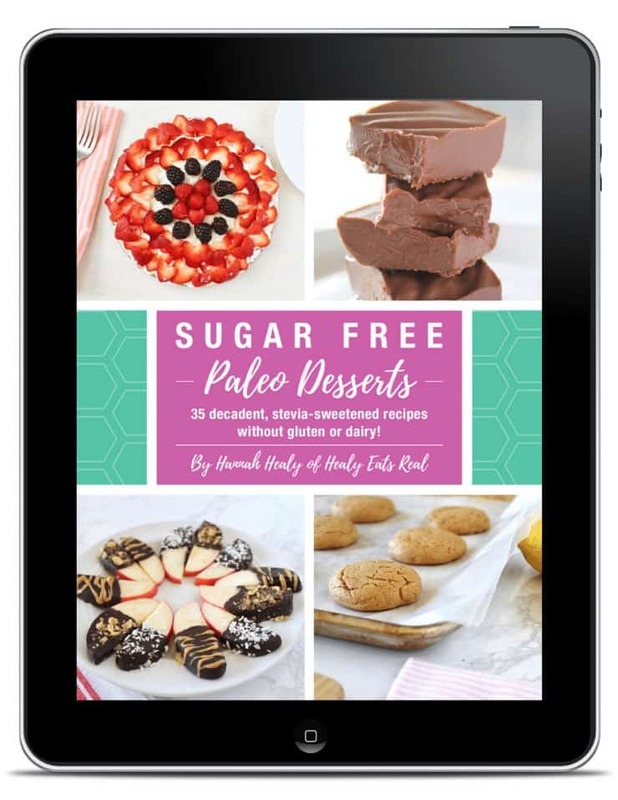 It's sugar free, paleo, vegan and filled with crunchy clusters of natural goodness! This cocoa fig homemade granola recipe post is sponsored by Nuts.com, but I only recommend products and services that I have personally tried and believe are of value to my readers. All opinions in this post are my own. 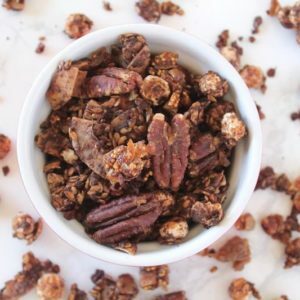 This easy and healthy homemade granola recipe is sugar free, paleo, vegan and filled with crunchy clusters of natural goodness! Breakfast should be filled with protein to keep you full–not sugar heavy cereals to make you crash later in the day. That’s why I love that this granola recipe has no added sugar, just the natural sweetness of figs, cacao nibs and a hint of stevia. I find that I do much better, feel full and have more energy when I leave out sugar in the morning. However, if you like a little more sweetness in your homemade granola, I’ve added a substitution for a little honey. 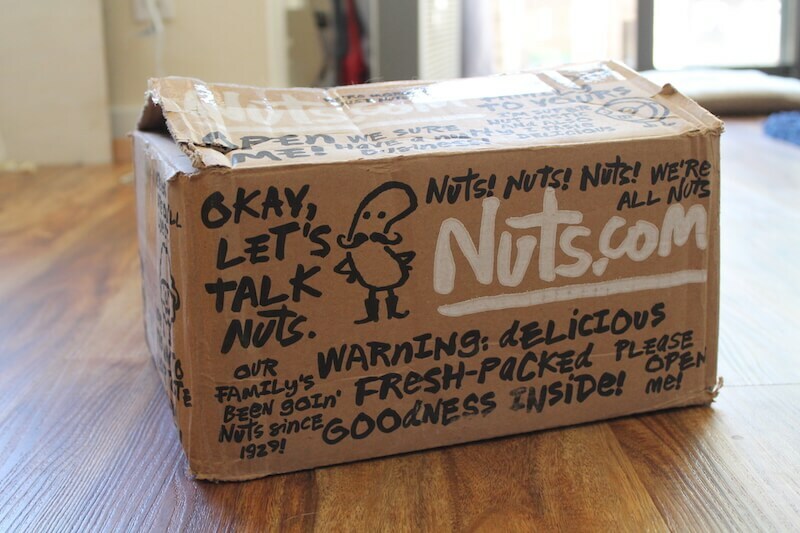 Nuts.com invited me to be part of their “Pantry in a Box” program. The idea was that they would send me several ingredients and I would have to come up with a recipe using as many of the items as possible— Yea, kind of like Chopped (one of my favorite shows!). Luckily though, they didn’t send any weird ingredients like fish heads or rocky mountain oysters like they do on Chopped. 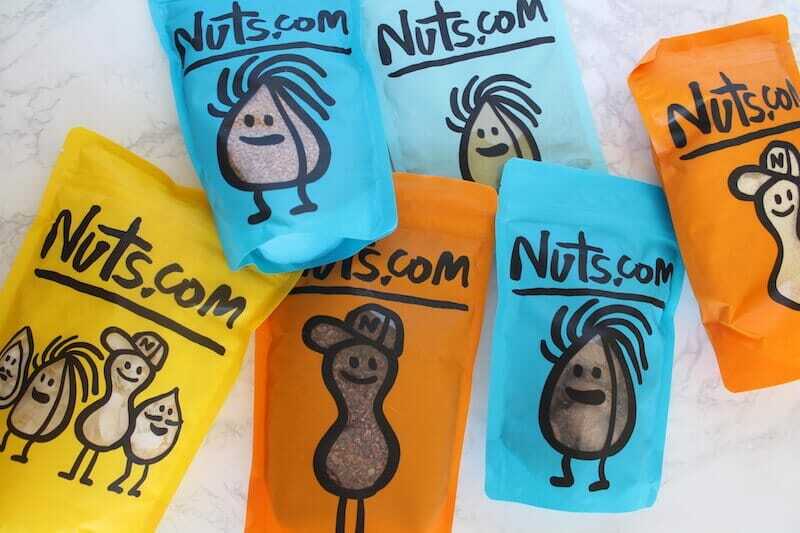 Nuts.com offers an insane variety of organic, raw, vegan, paleo ingredients at an affordable price. Don’t be fooled by the name, they have a lot more than nuts like grain-free flours, snacks, seeds, baking supplies, dried fruits, coffee, tea and more! You can check them out here. If you’re not familiar with tiger nuts, they are actually not a nut at all! They are technically a tuber in the same family as root vegetables like potatoes. They have a nutty coconutty taste and are full of fiber. 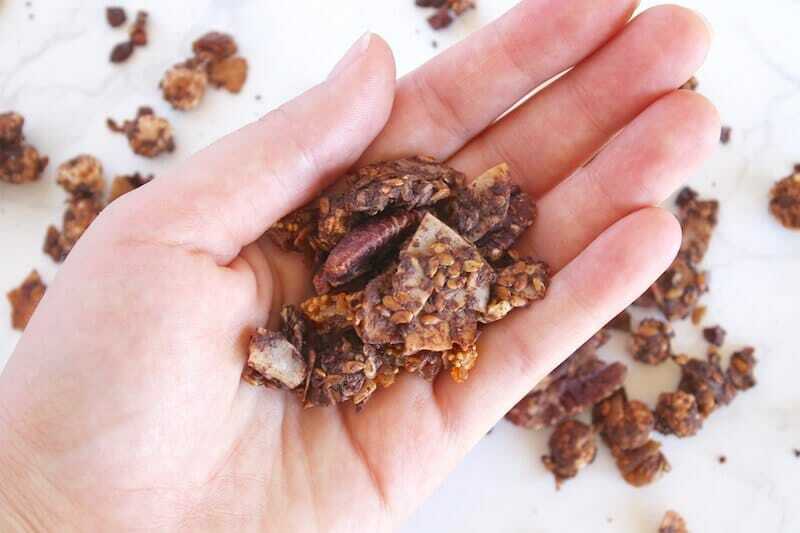 Cacao nibs come from the raw unprocessed cacao beans (where chocolate comes from). They have all the chocolatey flavor without any added sugar! When thinking about what I would make with these ingredients, I figured a granola recipe would be perfect and would incorporate a lot of the items. I was especially excited to include cacao nibs and figs into a granola recipe, which I’ve never done before. It turns out that adding figs and cacao nibs to granola results in total deliciousness! Enjoy! Pre-heat the oven to 325°. 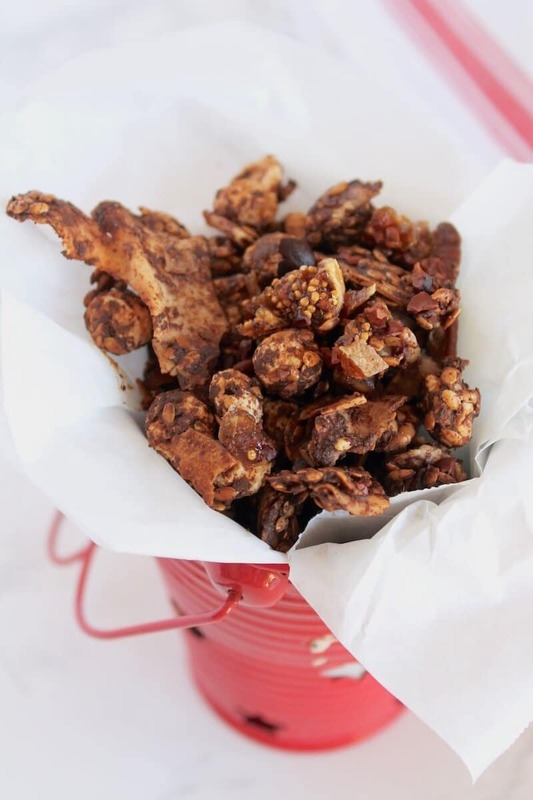 In a large bowl, combine the tiger nuts, coconut flakes, pecans, cacao nibs and cocoa powder and mix together. Leave the figs out of the mixture until after it has baked. Boil 1/4 cup of water and set aside off the heat. 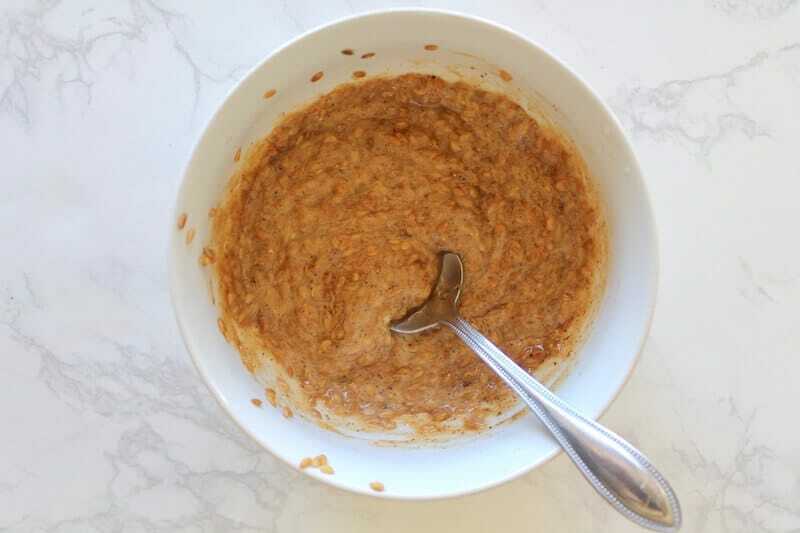 In a separate small bowl, put in the flax seeds, then pour the boiled water over the flax and mix. Wait about 2-3 minutes for the flax to congeal. Once the flax has congealed and looks gummy, add the remaining wet ingredients to combine with the flax and mix thoroughly. Add the wet ingredients to the dry ingredients bowl and mix. 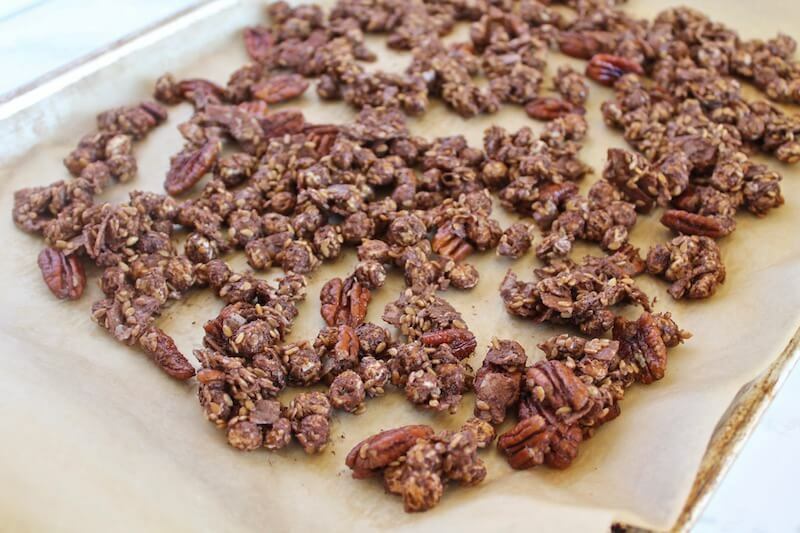 Then spread the granola mixture over a baking sheet lined with parchment paper. Bake at 325° for 20-25 minutes or until the nuts and coconut flakes are crispy. While the granola is baking chop the figs into small bits. Once the granola is finished baking remove from the oven, then add the figs to it and mix. Let cool and enjoy! 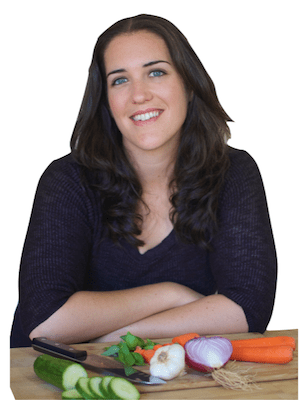 « What is the Autoimmune Protocol Diet (AIP)? And Can It Help You? My husband is always asking what to do with figs and I usually just shrug because I really don’t know! But this recipe sounds incredible, I’m pinning this for our future! Thanks! I love figs! Sounds like an awesome snack! What a delicious sounding granola!! I love homemade granola and the flavors in this one sound great. What a gorgeous recipe!!! The granola looks sooooo crispy and full of yummy chocolate flavor. Pinning this one!!! That is one delicious sounding granola 🙂 I wish I had some for breakfast tomorrow! This sounds like a great snack. Both my husband and I love figs, but never know what to do with them. What a delicious combo of flavors! Love the addition of cocoa. I’m going to check out nuts.com! Thank you for the great brand rec! 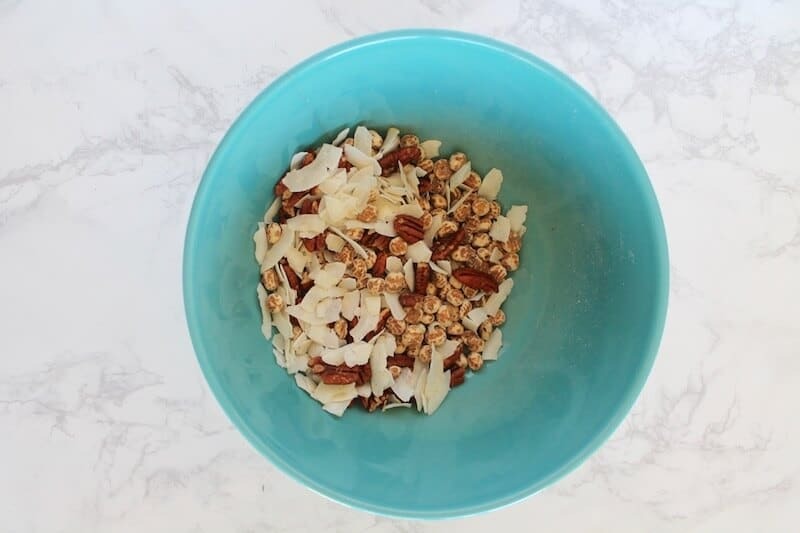 We have granola a couple times per week – can’t wait to try this one! I LOVE homemade granola! Your version sounds do yummy, I especially love that you added tiger nuts in yours. Such a great idea! This sounds delish! I love the tigernuts and figs in there, can’t wait to try this one out! Nothing like homemade granola, I see no reason to buy it when there are amazing recipes like this! Love the addition of figs and cacao! I love cocoa flavored granola ! I can eat this all day long ! Cocoa and fig?? YUM!! Great recipe, Hannah! MmmMmmMmmm what a great granola recipe. 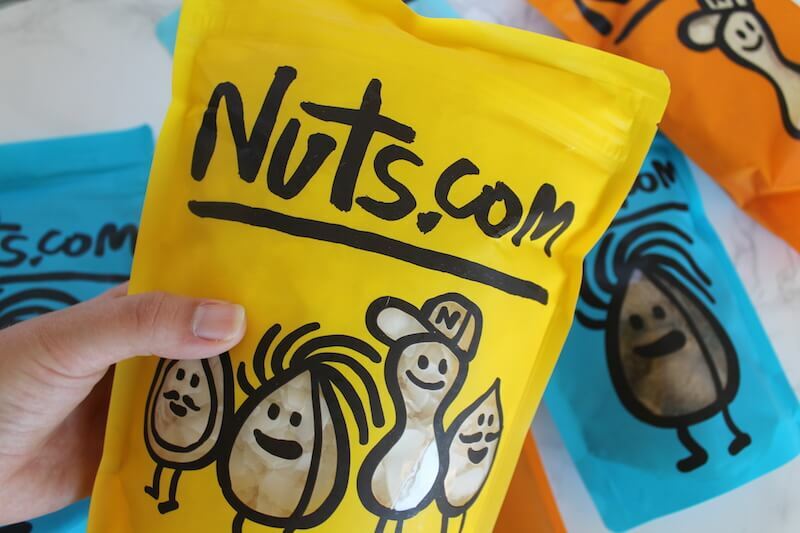 I love the quality and value of nuts.com too! I love dried figs but hardly ever use them in cooking (maybe in a tagine) and end up simply chopping them up and adding to yoghurt. But this sounds like a much tastier way to eat them. Plus, I am always on the look out for new granola ideas. Thanks for sharing this lovely recipe with us! Cacao and figs, wow what a delicious granola, this appeals to me so much..
Now that’s a granola!!! Love it! A great snack for sure. cocoa and figs!!! So delicious sounding. I have some tigernut flour and had no idea what to do with it! This granola looks amazing.